This message being spread of elder brother of Yogi is a spam. 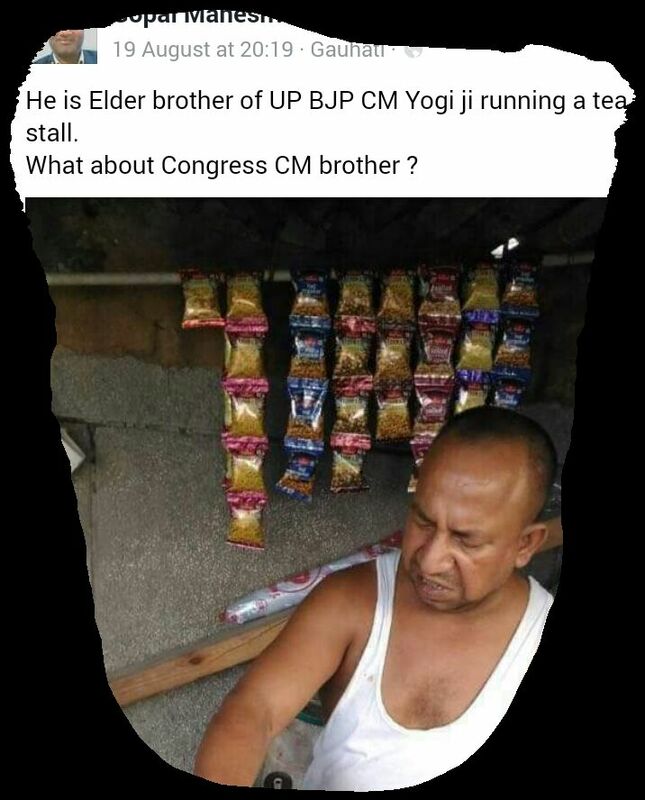 Fact check: CM Yogi Brother running a Tea stall, is it true? 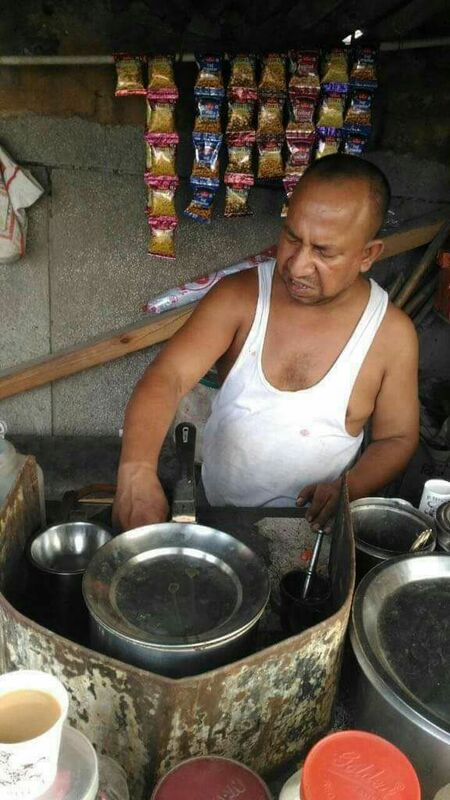 He is Elder brother of UP BJP CM Yogi ji running a tea stall. What about Congress CM brother ?